What is the best Windows 10 Blu-ray Ripper software? Acrok Blu-ray Ripper is the most comprehensive Blu-ray ripping program to help you easily rip Blu-ray and convert to video in various formats for further use. In general, Acrok Blu-ray Ripper is a fine application. It can extract disc contents very rapidly because it supports latest hardware. Acrok Blu-ray Ripper is the best all-in-one source for Blu-ray ripping into various formats. Acrok Blu-ray Ripper is a useful tool that assists users in converting Blu-ray movies to various formats. Being the best Windows 10 Blu-ray ripper software, Acrok Blu-ray Ripper could rip and convert Blu-ray to video and extract audio off Blu-ray to save in all formats for any media player and device. It’s downward compatible with DVD to video conversion as well. That means it is actually a comprehensive Blu-ray ripper software bundle that could handle both Blu-ray and DVD conversions. You can watch, share and save Blu-ray content in the way you like.It could rip and convert Blu-ray to MP4, Blu-ray to MKV, Blu-ray to AVI, Blu-ray to WMV, etc., and extract audio off Blu-ray to save in MP3, AAC, FLAC, etc. More than 180 video and audio formats are supported for output. What’s more, this Blu-ray ripper software could rip and convert Blu-ray/DVD to 4K video, 1080P video, 720P video and regular video so as to let you fully enjoy Blu-ray/DVD disc on 4K TV, 1080P displays, or mobile devices. With this Blu-ray ripping software, by ripping Blu-ray to video, you could easily watch Blu-ray movies on any media player and mobile device, like Windows Media Player, QuickTime, iTunes, iPhone, iPad, Android smartphones and tablets, Surface, Xbox, etc., edit Blu-ray in video editing software like Windows Movie Maker, and/or upload Blu-ray movie to YouTube or blog for sharing. Being the best Blu-ray ripper software, this Blu-ray DVD ripper program could rip Blu-ray and convert DVD of any type, regardless of disc protection, region restriction, and movie studios. With advanced disc protection removal technology, Acrok’s Blu-ray DVD ripper could decrypt, rip and convert Blu-ray discs with AACS, BD+ and the latest MKB protection, and CSS-DVD discs. This Blu-ray ripping software could rip Blu-ray and DVD, be it commercial or regular. Meanwhile, Acrok Blu-ray Ripper is an all-region Blu-ray ripping software that could remove region restriction upon Blu-ray and DVD discs for smooth ripping and converting. It could rip Blu-ray of region A, B and C, and convert DVD from region 0 to 6. This Blu-ray DVD converter could rip Blu-ray DVD content of multiple types to video and audio file. It could rip and convert Blu-ray disc, DVD disc, Blu-ray folder, DVD folder, Blu-ray ISO file and DVD ISO image file to video with ease. Acrok Blu-ray Ripper could rip Blu-ray discs and convert DVD discs released by all movie studios like 21st Century Fox, Columbia Pictures, MGM, Paramount Pictures, RKO Radio Pictures, United Artists, Warner Bros., Disney, Universal Pictures, etc. Featuring quality-lossless Blu-ray conversion tech, Acrok Blu-ray Ripper offers cinema-like movie experience for you with your home theatre system. Keep all element in source Blu-ray content after conversion, without any quality loss. Acrok Blu-ray Ripper retains all original image quality from original Blu-ray/DVD content according to personal settings. It could keep the same image pixel density, aspect ratio, image frame, etc. as that in source Blu-ray/DVD content. Acrok Blu-ray Ripper enables you to rip Blu-ray to video in HD, either 1080P or 720P, according to your personal preferences. What’s more, it could even rip and convert Blu-ray disc to 4K MP4/4K MKV video for Ultra HD movie experience on 4K displays. Acrok Blu-ray Ripper offers “Audio Copy” audio output support, to enable you get 5.1/7.1 audio channel output. You could get a cinema-like audio experience with your home theatre system like computer, TV, etc. This Blu-ray DVD ripper enables you to adjust video codec, bit rate, aspect ratio, resolution, quality, audio codec, sample rate, frame rate, channel and other parameters to meet target player before converting. 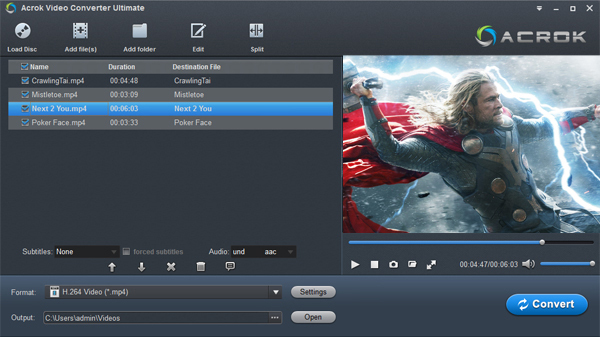 With Acrok Blu-ray to MKV Converter integrated into Acrok Blu-ray Ripper, now users can have all or multiple audio tracks and subtitles retained in an MKV video when ripping Blu-ray to MKV. Acrok Blu-ray Ripper enables you to personalize Blu-ray movies before converting to get more enjoyment, including: file merging, media editing, 3D movie creating, parameter adjusting, etc. 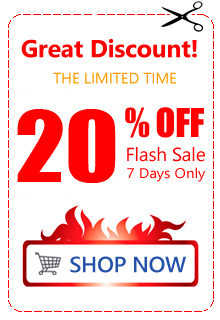 Get movie from Blu-ray with your own patent. With advanced graphic accelerating technologies and batch conversion support, this Blu-ray DVD ripper can rip and handle Blu-ray/DVD to video conversion faster than rivals. The program is extremely easy to use, no technique knowledge required. The support of batch conversion within this Blu-ray ripper software enables it to handle multiple Blu-ray to video conversions at one time. The built-in media player is a region-free Blu-ray player to play Blu-ray files. It also lets you preview video editing effects and 3D movie effects. This Blu-ray ripping software is extremely easy to use: add media file, set output profile, and then start conversion. No tech knowledge required. Subtitle selecting is feasible and freely selectable from source Blu-ray files. Therefore, you could watch Blu-ray movies in familiar language. As the best Blu-ray ripper software for Windows 10, it supports NVIDIA CUDA, AMD APP and Intel Quick Sync GPU accelerating technologies, which makes it 6X faster in converting.